If you are having trouble finding the right words to include in your thanksgiving message to your boss, don’t sweat it, for we have a solution right here for you. 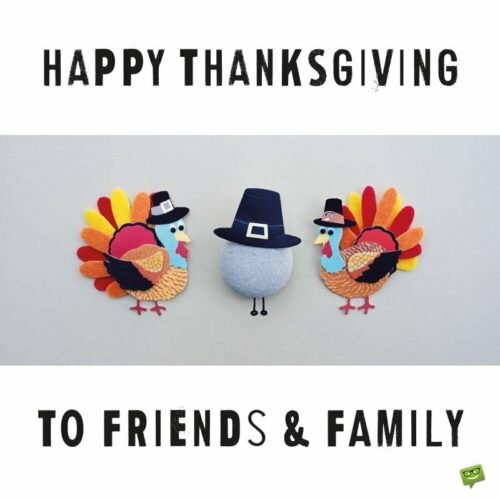 Browse through the slew of sweet thanksgiving messages below and we are sure you’d find what you need to add more excitement and joy to your boss’ Turkey Day. Wishing the happiest of happy Thanksgivings to the most wonderful of wonderful bosses. May your home be filled with peace, prosperity and blessings of joy. Sir, it’s been nothing short of a great pleasure working for someone as remarkable as you. I wish you a bountiful holiday. Happy Thanksgiving. Sir/Ma’am, working with an amazing boss like you has been one of the most rewarding and inspirational experiences of my life. I’m thankful for all you have done and keep doing for me. Happy Thanksgiving. Happy Thanksgiving, Sir! I pray your holiday is filled with great joy and love. You are a great boss and an even greater friend. I hope you have an astoundingly happy Thanksgiving holiday today. Happy Thanksgiving to a truly remarkable boss. I appreciate every single thing you’ve done for me since I began working here. May God reward you abundantly for being so nice to me. Sir/Ma’am, on this Thanksgiving, I have just two words to say to you: “Thank you”. Happy Thanksgiving! 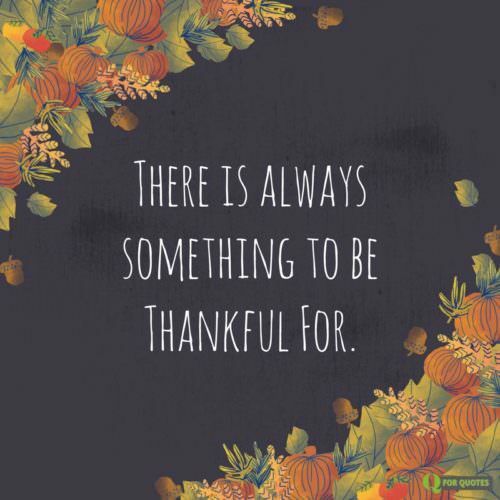 As we celebrate the last Thursday in November, I just want you to know that I will forever be grateful for all the support and inspiration you give me. Thank you a million times, boss. Happy Thanksgiving. Wishing one of the greatest bosses in the world a blessed and peaceful Thanksgiving celebration. May God continue to bless you with happiness and prosperity. Monday morning blues became a thing of the past the moment I joined your company. Thank you for making work very fun. I pray this Thanksgiving Day is as wonderful to you as you are to your workers. Have a blessed holiday. Wishing you a bountiful harvest of blessings of happiness, peace and prosperity. Happy Thanksgiving, Sir/Ma’am! Every day, I thank the heavens for being blessed with the rare opportunity to work under such a phenomenal person like you. Thanks for being a wonderful boss to me. I really appreciate you and all you do for us. Happy Thanksgiving. Because you are a supportive and caring boss, I pray that the heavens will multiply your blessings and happiness this year. Happy Thanksgiving. A very happy Thanksgiving Day to one of the greatest inspirations of my life. I’m really glad that you are my boss. I couldn’t have asked for a greater boss. May your Thanksgiving be as lovely as you are. Happy Thanksgiving. For me, it’s a mighty honor to call myself your employee. Finding a wonderful boss like you was undoubtedly one of the greatest gifts of my life. Happy Thanksgiving Day, Sir. Wishing the most inspirational boss I have ever worked for a very glorious Thanksgiving Day. Nothing feels better than knowing I am blessed with an amazing boss like you. Happy Thanksgiving Day. Thank you for always being there for us and taking care of us, boss. We can’t express how much your support means to us. Happy Thanksgiving. Happy Thanksgiving. May your home be filled with peace, prosperity and blessings of joy. Today being Thanksgiving, I thank God for your presence in my world, Sir/Ma’am. Happy Thanksgiving. Hoping this last Thursday in November brings you unlimited happiness and love. Have a great holiday. Happy Thanksgiving! May the happiness you put into the hearts of your workers be returned to you in boatloads this Thanksgiving. Wishing you a Thanksgiving Day so joyful that you remember it until the end of time. Happy Thanksgiving. As we celebrate this year’s Thanksgiving, I want to thank you from the depths of my heart for being a good boss and a great friend to me. 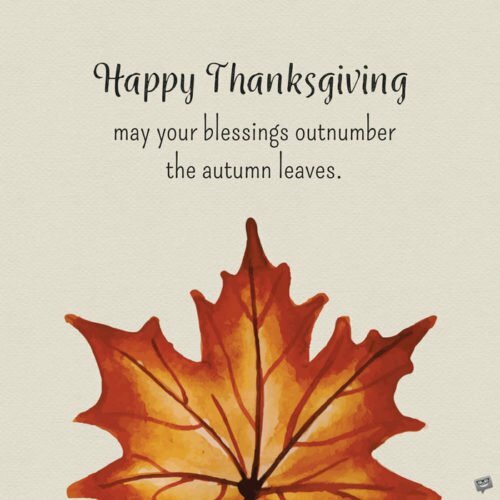 Wishing you and your entire family a joyful Thanksgiving Day. Dear boss, thank you so much for being a great blessing in both my personal and professional lives. I hope you have a very joyful holiday today. 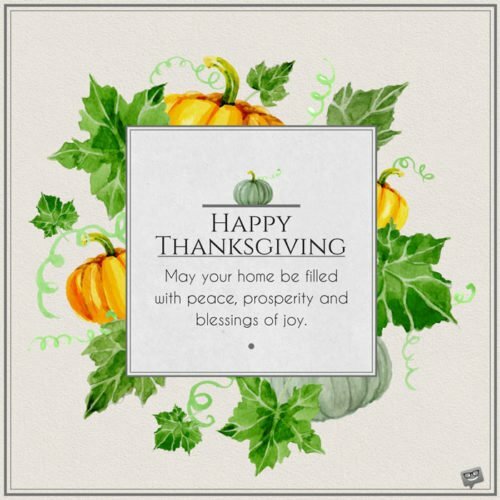 Wishing you a great Thanksgiving Day with all the love, sunshine and happiness you deserve. Happy Thanksgiving! Wishing you a holiday packed with peace and joy. For being the best boss on this planet, I hope this Thanksgiving brings you and your beautiful family gobs of blessings and joy. You deserve it. You took me from nothing to something, and for that I will forever be grateful to you. I hope your Thanksgiving is decorated with the most beautiful blessings from above. Happy Thanksgiving. Happy Thanksgiving. I hope this special holiday fills your world with laughter, love, and true happiness. Your brilliant guidance and encouraging words are responsible for shaping me into the person I am today. Please, accept my heartfelt gratitude this Thanksgiving. Wishing you all the best things in life as you celebrate this festival of plenty. Happy Thanksgiving to my wonderful and hard working boss. 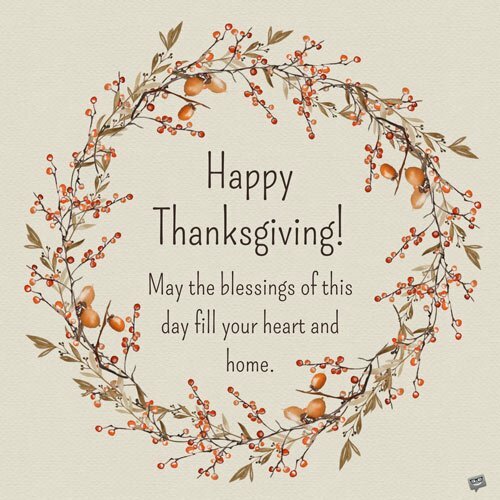 May every moment of your Thanksgiving fill your home with bliss. A fabulous Thanksgiving to you, my dear boss. May this holiday bring oodles of truly memorable moments for you and your family. Wishing my outstanding boss a very happy, peaceful and fun-filled Thanksgiving Day. In my eyes, you’ll always be the best boss ever. 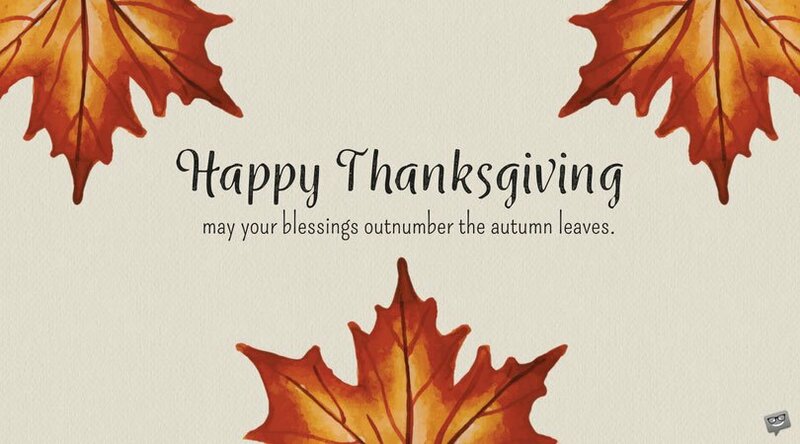 May your Thanksgiving be a blessed and absolutely happy one. Have a beautiful day. Dear boss, we wish you a fabulously joyful Thanksgiving Day! This special holiday of giving thanks reminds us of how privileged we are to call ourselves your employees. May your Thanksgiving be glorious, safe, and most importantly, laden with countless happy moments. Have a colorful holiday. Wishing nothing but a very happy Thanksgiving to the most outstanding manager I know. Sir, the inspiration, guidance and learning experience you give me at the workplace are absolutely priceless. Many thanks! My heart will never stop thanking you for being such an amazing friend, mentor and boss. Happy Thanksgiving. Words can’t express how much I appreciate you for bringing out the best in me. You are undoubtedly the most awesome boss I’ve ever worked for. Happy Thanksgiving to you and your loved ones. Wishing a delightful Thanksgiving holiday to the world’s best boss. I can’t thank you enough for your monumental contribution to my success. Happy Thanksgiving to you, my incredibly wonderful boss. Thanks for playing a leading role in my happiness at work.